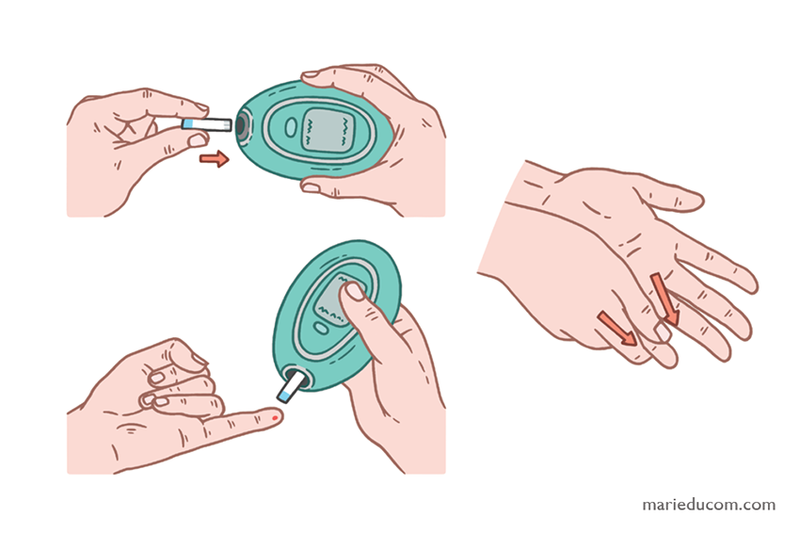 This guide was created for diabetic patients, in order to explain how to measure the level of glucose in the blood. 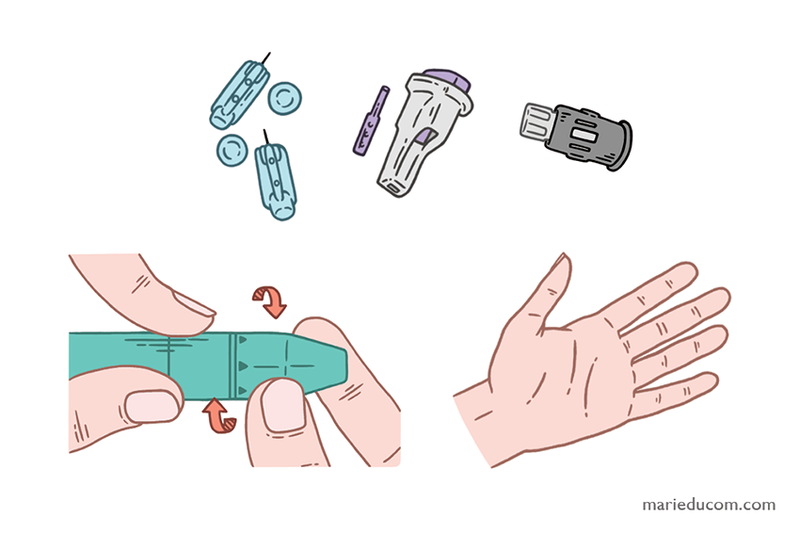 It presents the different steps to follow as well as the necessary tools, such as the blood glucose meter, test strips and lancing device. These illustrations were drawn with ink and coloured digitally with Photoshop.